I am responding to your editorial of Sunday, Feb. 10 ("Making marijuana path clear"). 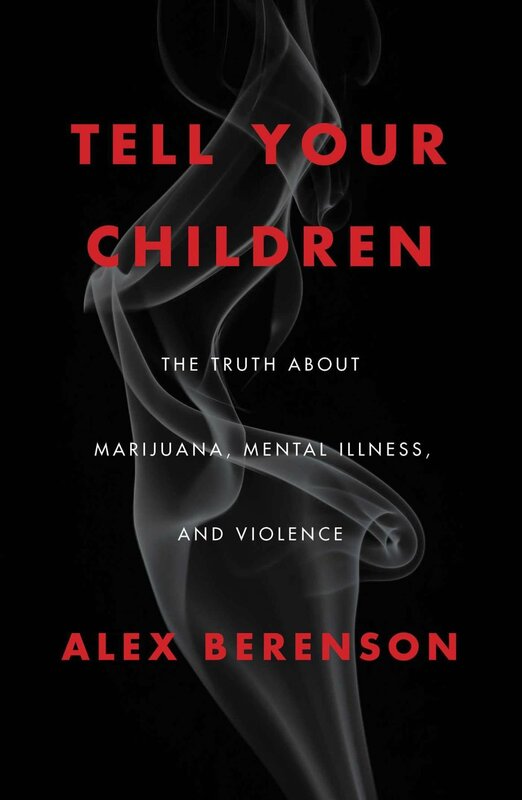 Several weeks ago, I listened to a radio interview of Alex Berenson regarding his newly published book, "Tell Your Children the Truth About Marijuana, Mental Illness and Violence." I found the interview to be enlightening so I ordered his book. I finished reading the book this past Saturday. (My timing was perfect.) It explores the history of cannabis on two continents, reviews the statistics regarding cannabis use and resultant mental illnesses that can occur, including psychosis and schizophrenia. Much money has been spent and will continue to be spent by those who favor the legalization of cannabis. Many are looking at huge profits to be made. Politicians are looking at another revenue steam to address their spending habits and overwhelming state indebtedness. No regard is given to the social and other costs that will occur. Berenson's book explores these costs and many of the myths associated with the push for legalization. Shortly after I had listened to the radio interview, I had a conversation with a customer in western Illinois. He is a successful small business owner. He admitted that he had regularly smoked marijuana as a young adult, for about three years. He finally came to the realization that his life was going nowhere. He quit and got down to business. He also shared a conversation that he had with a friend who lives in Colorado. His friend said that he had voted for the legalization of cannabis in Colorado. He indicated that once legalized, there was an influx of habitual users into the state, and there was an increase in crime with more dependence on state provided health and social services. Illinois is a transportation crossroads to the nation. Many individuals are employed in the transport of commodities and finished goods, as well as people here in Illinois. Those who employ these people are reluctant to hire residents of states that have legalized marijuana. Unlike alcohol, THC stays in a person's system for extended periods, so it is difficult to measure whether a person is under the influence of marijuana or not at any given moment. This same issue will be problematic for the police. The trial lawyers will have more clients and the courts will be more clogged. I am furnishing my copy of "Tell Your Children the Truth About Marijuana, Mental Illness and Violence" to the Herald & Review editorial board for review. I hope that the in-depth research Berenson has completed and presented in his book will cause the editorial board to moderate or reverse your stance on the legalization of medical and recreational cannabis in Illinois. The risks are just too high, particularly for your young people. Michael A. Hartwig of Decatur is a life-long resident of Illinois. ALL drugs come with risk, studies have shown that marijuana and some mental disorders do have a correlation, wether the problems are being caused by the marijuana or simply those with problems use it more is still up for debate. Alcohol also causes many mental problems (and physical) especially in adolescents. From my take on the most recent science and studies, cannabis causes slightly more mental problems, and alcohol can cause an astronomical amount of physical damage. This book chooses to only look at some of the science and is a clear example of how cannabis carries a stigma that a lot of other drugs don’t. Why not write a book about how we have a nation full of kids on high dose amphetamines? Or how about the mountains of fentanyl pouring in from China and making its way into almost any opioid and opiate contwining substances yet has a half life on minutes and is much more addicting even than traditional heroin? Or how about how dangerous synthetic cannabis is? Mr. Hartwig just had his bias about marijuana confirmed. All claims of harm here are false. - The screeds of Alex Berenson have been widely and easily debunked. Just do a Google News search on Alex Berenson. The REAL science and widespread experience have shown marijuana has no significant harms. The alleged schizophrenia connection stemmed from an observation that a certain percentage of schizophrenic patients consumed marijuana. Prohibitionists jumped on the idea that showed marijuana caused schizophrenia, and the media belched it out. It turns out, some schizophrenic patients were actually self-medicating with cannabis. Further research has shown most patients obtain effective relief, while a few get aggravation of their symptoms. - But prohibitionists love this false causation idea so much they continue to cling to it, as Berenson does. Legalize now Illinois. Very tired hearing the same old Boogeyman stories about pot that we all know are untrue. Reefer madness is long gone. The war on pot was a failure. All " adults" can make up their own minds about pot. And if your under 21 your parents still have a say in your choices. The world doesn't change because of legalization. Let's get this bill passed by May .